Do you want to receive a design for your custom made cufflinks? Please fill in the fields below and tell us more about your wishes. Please also send us your logo, coat of arms or another picture, and we will send you a cufflinks design within 24 hours! For free and without any obligations! Ordering custom made cufflinks is possible from a minimum order of only 15 pairs of cufflinks. 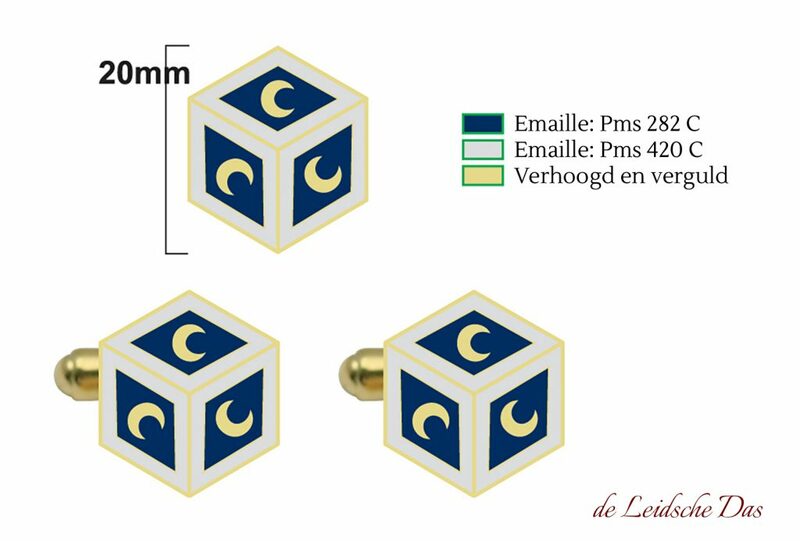 Once i have ordered, how long will it take before i receive my custom cufflinks? Production & delivery time for custom made cufflinks. If the cufflinks design has been approved by you and the invoice is paid, then our atelier starts with the production. The production process of your custom made cufflinks takes two to four weeks. After our last quality control we send your order by courier. We will be happy to discuss the many possibilities for your cufflinks design with you. Feel free to contact us, we will respond to your message within 24 hours. Please contact us for making an appointment.